“And Mary said, ‘Behold, the bond-slave of the Lord; may it be done to me according to your word'” Luke 1:38. I’ve never identified too much with Mary, the mother of Jesus. I’m nothing like her really. My heroes tend to be feisty determined types. Give me Hannah, Deborah, David’s wife Abigail (see 1 Samuel 25:2-44) or even the shrewd Tamar (see Genesis 38). 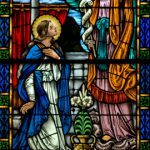 Mary seems so much a background character in the gospels; what did she really DO? Actually, lots. Starting with her very sacrificial acceptance of becoming the mother of the Messiah. Maybe that would appear to be the glory road for any young Jewish girl, but I think she knew it would not be the case. Engaged, but not yet married, she saw the implications of accepting the angel’s proposal immediately. Showing up pregnant and unwed in a society that had stoning rules for such things was pretty chancy. She accepted, but the bigger thing is that she did not defend herself at all. I really don’t identify with that. I would have gone to Joseph and my parents immediately, and let them in on my big secret so we could devise a plan and manage the fallout. She didn’t say a word to anyone. Her view must have been, if God can make me pregnant by his Holy Spirit, he can handle the rest of the details too. “’Behold, this Child is appointed for the fall and rise of many in Israel, and for a sign to be opposed—and a sword will pierce even your own soul—to the end that thoughts from many hearts may be revealed'”(Luke 2:34-35). In the end, Mary attended the crucifixion of Jesus, the Messiah of Israel. But no matter who He was to the nation, first He was her son. Who can comprehend the pain she faced, and who would have blamed her if she had stayed home? I believe it was in that terrible six hours while Jesus hung on the cross that Simeon’s prophecy was fulfilled. She did not shrink back from it. Mary may have been meek and mild, but she was no wimp! Truth is, we shouldn’t confuse quietness with weakness should we? While it might be our personal tendency to admire outspoken boldness more positively, there is a type of strength that is quietly unassuming. That’s the kind Mary had. Without being pushy, she held an inside track to her Son’s heart. We see it clearly in the story of the wedding feast at Cana. It was Mary who noticed the dilemma of the hosts while she and Jesus and His disciples were attending as wedding guests. They were running out of wine, and would end up embarrassed. She couldn’t do anything about it herself but she knew where to drop a word to one who could. “They have no wine,” she told her Son (John 2:3). Simple. Just state the facts, and trust that whatever Jesus did would solve the problem. (For a more detailed article on Mary’s request as a prayer type see Prayer that whispers in His ear. 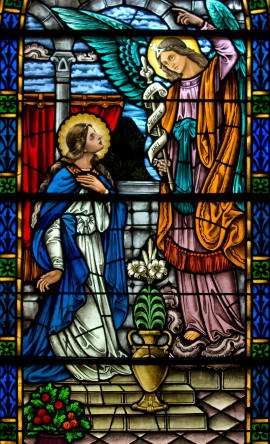 This is the quiet kind of trust that exemplifies Mary’s character. This is trust well founded from the time the angel appeared to her with his astonishing announcement. 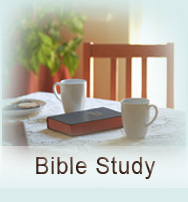 Her character was worked and developed as she observed God’s faithfulness to her. She wasn’t stoned when she was found pregnant. Joseph married her anyhow. The baby Jesus was kept safe in Egypt from Herod’s cruel decree to murder all the male infants under two years old. Jesus wasn’t really lost in the Temple at twelve years old. On and on she saw God’s plan unfold, and she was willing to be any part of it chosen for her. And what does trust in God prove over a lifetime? His faithfulness. I can certainly say that’s been on target for me. As I look over my own life I see God’s faithfulness, steady and true. Each of us can see the same thing if we look upon our circumstances, whatever they are, with spiritual eyes. Mary saw it and said “For the Mighty One has done great things for me; and holy is His name” (Luke 1:49). Mary also said, “For behold, from this time on all generations will count me blessed” (Luke 1:48). She was right. Well done Mary, good and faithful servant of the Mighty One!